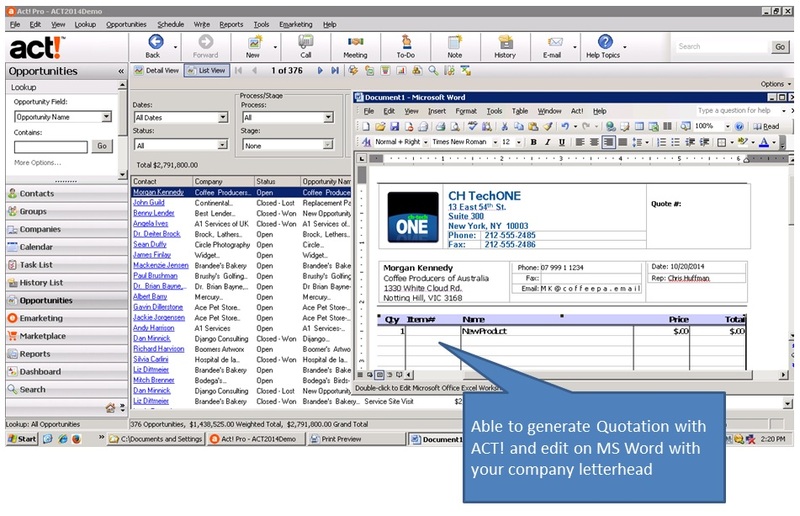 Are you still using Excel/Spreadsheet to track your customer information? The government is giving grants to help SME to implement CRM software to better manage your customer data and improve productivity. ACT! is one of the most popular and affordable CRM software around, with millions of customers across a wide range of vertical markets. 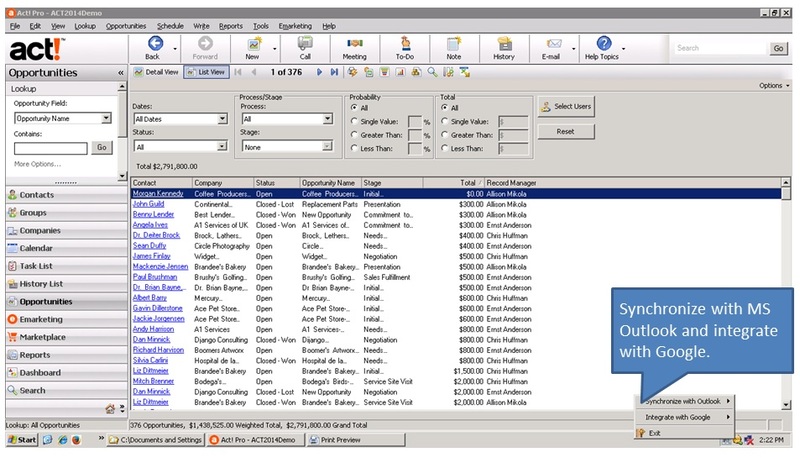 This client management system has all of the functionality a small business sales team needs to manage the sales pipeline and recruit new clients at a price tag that won’t break the bank. 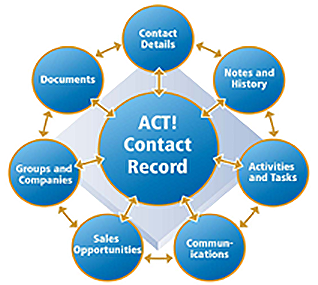 If you are a small or medium sized business looking for a cost effective CRM solution to record customer and prospect information, track calls, emails, meetings and to-do items, and manage all aspects of marketing (including e-marketing), sales and customer service activities - ACT! could be the CRM system for you. 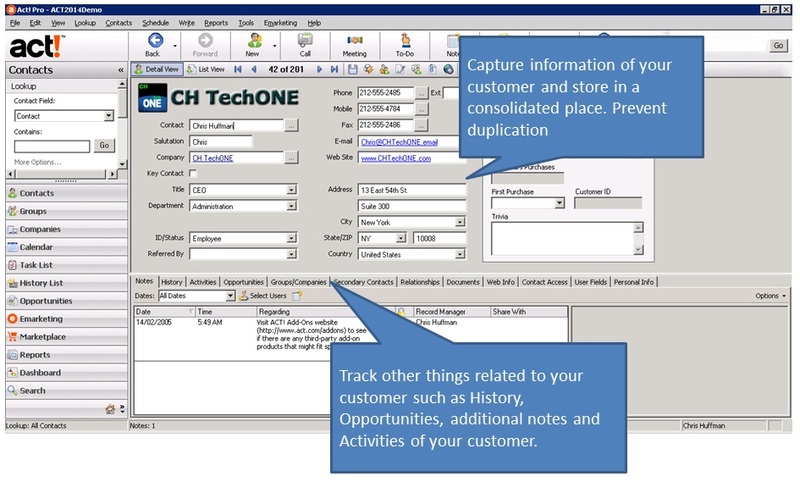 Single repository where are all information about your customer is stored without duplication; no same customer appear 2 times in the database or 2 sales person engaging on the same customer. 360 degrees view of your customer from pre-sales to post sales. Efficiently manage your calendar; track calls, meetings, and to-dos; and kick off automated tasks to increase productivity with task reminder and alerts. Generation of quotation with you company letterhead without hassle. Stay connected to your business from your iPhone®, iPad® or Android™ device with Act! Premium Mobile (included with your purchase)! Get your ACT! Premium edition now at SGD$719 per name user license. (Not including MS SQL and implementation charges.) Contact us at enquiry@plexure.com.my now! 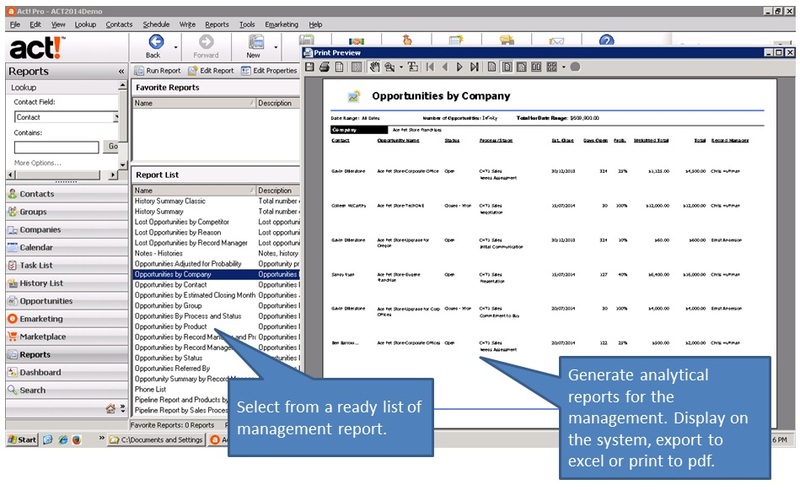 Tap on PIC Grant or ICV Grant now for CRM implementation to assist in your business now. For more information on CRM, click here or call +603 9212 2099 to learn more about CRM and other IT Solutions.